A deep-dive into the crystals & stones that Peruvian Shamans work alongside within their healing practices, rituals & ceremonies. Through the ancient art of ‘Stone Medicine’ we can heal mentally, physically, emotionally, and spiritually. Crystals can help us to increase focus and clarity, silence anxiety and depression, curb addictions, build confidence, improve our communication skills, make better life choices, heal relationship traumas, and even get sounder sleep. 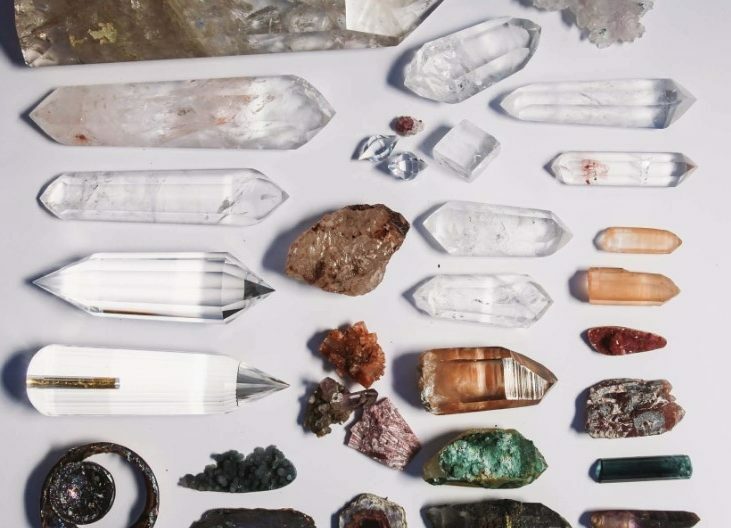 We often hear crystals referred to as “New Age,” but in truth, crystal healing is an ancient, age-old form of medicine. Crystal healing is woven into the threads of some of our most historic civilizations; The Mayans, Celtic Druids, African Bushmen, ancient Egyptians, Siberian Sami, Australian Aborigines, Native Americans, and Incas. All cultures traditionally used crystals in their healing practices as a holistic, noninvasive, vibrationally based system of energetic healing. Sparkly crystals, river rocks, polished stones, or faceted gems are laid at precise locations on and/or around a person’s body to facilitate healing. Shamans believe that this practice treats the physical body as well as the LEF (Luminous Energy Field) around the body. As crystals interact with people and the physical and energetic space surrounding us, they can absorb, defuse, direct, detoxify, focus, and shift our energy. Our ancestors gathered stones and crystals from riverbanks, beaches, forests, caves, and mountains. The Q’ero or Peruvian Shamans still honor this tradition today. On my most recent trip to Peru alongside my Shaman sister & Founder of Willka Yachay, Hannah Rae Porst, we journeyed from village to village visiting healers & elders of the community. One of the most exciting, powerful & sacred moments was watching the Andean Shamans unfold their medicine bags. Each bundle comes with its own personality filled with talismans like feathers or sacred herbs AND kuyas/khuyas (sacred stones). The vibration of the sacred items was palpable & I could hear, see, touch & feel the stories of their family lineage & experiences within the folds of the fabric. Inside a Peruvian Shamans mesa (medicine bag) the crystals & stones found are indigenous to their ayllu (tribe/family), local mountain (apu) or native country (Peru). I asked every Andean Shaman I met how they acquired their stones. Many were intergenerationally received & passed from Shaman to Shaman within the bloodline. One Shaman I met said a stone has been in his family for 200 years & another three generations. Gems not connected to a family lineage are found in nature & may be considered gifts from mountain spirits. Stones can also be received through karpays (Shamanic rites of initiation). 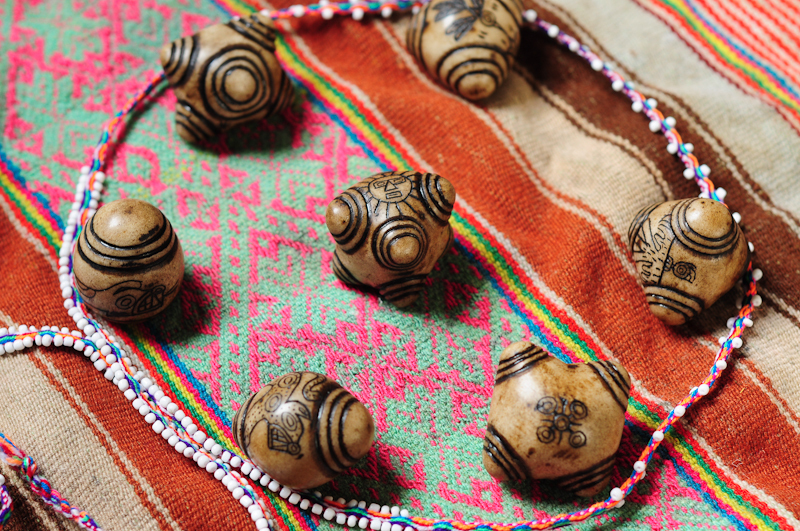 One constant in all Andean Medicine bags are the Chumpi (means belt) Stones. These stones are sacred to the Q’ero as they are connected to the wisdom of the Apu’s (mountains/mountain spirits) & have a direct relationship to Andean Cosmology. Chumpi’s are hand-carved in the Sacred Valley of Peru & come in different materials most commonly Hiwaya (meterorite) & Alabaster. Each Chumpi is linked to a certain mountain & therefore carries a specific energy or medicine which enables a person to connect with the energy of that particular peak. The number of points on each Chumpi Stone represents the position it takes on a shaman’s mesa cloth (in relation to other stones) and the specific mountain of the twelve mountains surrounding the city of Cusco. 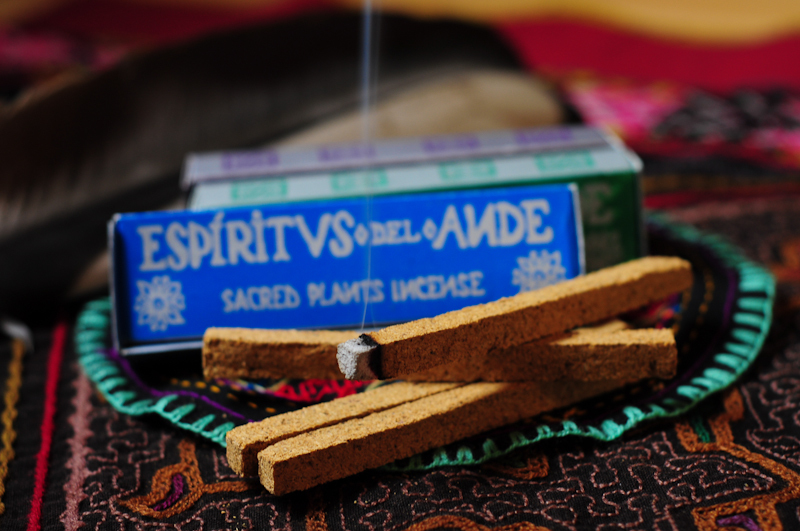 Chumpis are great for clearing, protection, grounding, rituals, ceremonies plus Shamanic initiations & rites of passage. “POWER STONES” are the ones that you feel the greatest connection towards. A stone is the right stone if it speaks to you & is screaming, “Pick me, pick me.” If you can’t make it to Peru your personal Power Stones may come to you through teachers & mentors, healing practitioners, metaphysical stores, friends, or you might find one on a hike or after an extensive Google search. Please remember to ask permission from the crystal & the land that it is yours to work alongside. While exploring the elder Shamans medicine bags and the vividly, colored marketplaces it became apparent what stones & crystals are indigenous to the land. I wanted to share a go-to guide of native gems that may be calling to you on your next pilgrimage to the Sacred Valley. The stone of the ‘Sun God’ in Ancient Egypt as they believed it would draw their souls back toward the light. Alabaster is a ‘drawing stone’ meaning it has the ability to draw things to you or to draw things away from you, depending on the situation. It can help with cleansing/clearing/balancing chakras, mental dis-ease, self-forgiveness, forgiveness of others, mental clarity, meditation, bridging levels of consciousness, temper anger, heart disorders, insomnia, mental conditions and eases anxiety. When you want to “Just Say No!” Amethyst is used in crystal prescriptions for treating addiction, and addictions show up in our lives in all sorts of ways: alcohol, shoe shopping, smoking, social media, negative self- talk, workaholism, etc. Just about anything can become an addiction. Ever wonder why crystal stores always have a giant purple Amethyst geode in the corner of the room? It’s because Amethyst rids a room of negative “energy vampires.” It’s also super high vibration, and it helps us to tap into our intuition and to connect with higher planes of existence. us, and encourages compassion and strengthening of character. It also brings forth prosperity and eagle- eye discernment in business by sharpening our analytical and intuitive abilities. Chrysocolla is the stone of oracles, high priestesses, and medicine women everywhere; those drawn to it will feel a connection with ancient energies and indigenous wisdom traditions when they use it. Clear Quartz is a wardrobe staple, like your black skinny jeans. It goes with all your other crystals, and it’s not only a neutral, it’s an amplifier. Clear Quartz is known as the “Master Healer” and “High Channeler,” and you can pair it with any other crystal to amplify what that other crystal does. It’s used for connecting with your higher self, your intuition, and your Spirit Guides. Pyrite is called “Fool’s Gold” because it resembles gold to the untrained eye, but there is nothing foolish about this manifesting powerhouse. “Pyrite” comes from the Greek word pyr, meaning “fire,” because sparks fly from it when it is hit with another mineral or metal. Traditionally known to generate wealth, Pyrite carries a super- masculine vibe, and it’s great when we want to channel our divine masculine for confidence, willpower, persistence, and getting things done! The design junkie in me loves this stone big time, because it naturally grows in perfectly formed squares. Also known as Leopardite, Jaguar or Leopard Stone because of its signature spots. As with all Jasper’s, this is a protective stone particularly during shamanic journey work & while sitting in the direction of “The West” (Jaguar) on the Shamanic Medicine Wheel. 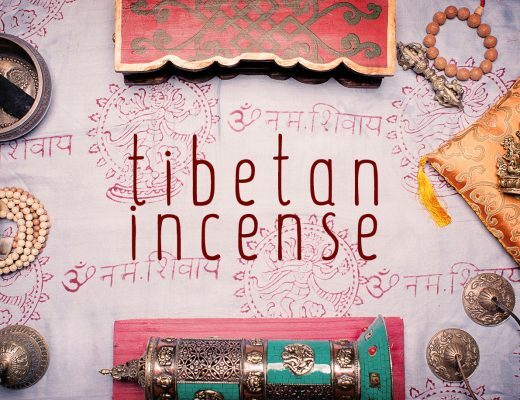 Helps connect with one’s spirit animals or with animals during healing practices. 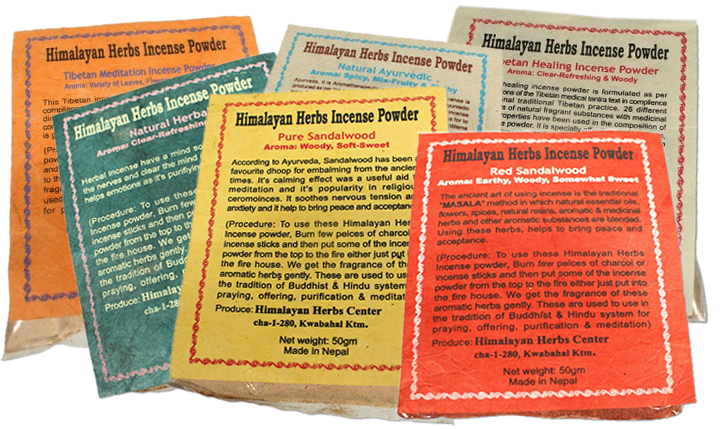 Aids in taking responsibility for one’s self as well as enhancing strength, vitality & stability. Great for Shamanic Practitioners as it is a stone of ‘being in service’ to others. The name Tektite comes from the Greek word “tektos” meaning molten. This 14 million year old meteorite or Hiwaya carries the vibes of the cosmos as opposed to the vibes of the earth. We know crystals are ancient computers and they carry the memory of all it has experienced whether a severe weather pattern or ancient ceremony. This natural glass was formed as terrestrial debris flew millions of light-years through the cosmos & formed during meteorite impacts on earth. WOAH…that’s figuratively & literally heavy. Tektites are very dense & weighty. Shamanic extractions or in layman’s terms, an exorcism, are performed using this stone (Tektites enliven the aura, allowing it to expand and disgard energetic debris & create free-flowing movement in the energetic body). Tektite is known for raising one’s vibrational frequency, strengthening the aura, expanding consciousness, increasing connections/synchronicities, a bridge between the physical & spiritual, accelerated physical healing & an ideal meditation tool. If you feel deep connections to the cosmos Tektite facilitates the feeling of “going home”. The name opal is thought to be derived from the Sanskrit upala, meaning “precious stone,” and Greek opallios meaning “to see a change of color.” Opal brings ones personality traits and characteristics to the surface for examination and transformation to ultimately create greater self-awareness. The “Eye Stone” stimulates the base, heart and crown chakra & helps to create a steady energy flow throughout the entire body. Looking to go deeper? Opals are ideal for past life exploration as well as Akashic record work. PS. If you are a water sign that this is crystal for you! 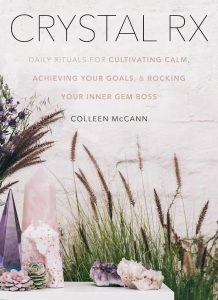 To learn more about Stone Medicine, Peruvian Shamanism or Colleen’s personal journal from fashion stylist to Shaman please refer to her book, Crystal Rx. STYLE RITUALS PSA: Stone Medicine is meant to be an accouterment to other health treatments. Always consult a healthcare professional on what your personal path should be, and how you can combine Eastern and Western medicine for best results. May you walk in beauty always and forever. Aho! Colleen McCann is a certified Shamanic Energy Practitioner who was a fashion stylist in a past life. She has traveled the world researching crystal traditions and conducting crystal readings, as well as space clearing and balancing, shamanic healing, and intuitive business coaching sessions. Her work has been featured on GOOP, and in The New York Times, Vogue, Vanity Fair, Refinery29. She lives in New York and Los Angeles.